Are You Locked Out? Have You Lost Your Keys? 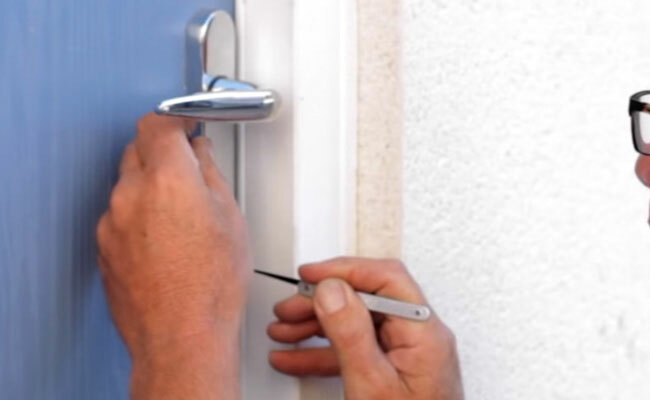 Our trusted locksmiths can unlock your door and get We can get you back into your property. We're rated 4.96/5 based on 759 reviews collected from customers we've completed work for. All of our locksmiths are experts in lock repairs and replacements for both commercial and domestic clients. Our focus on customer service and value for money makes us the number one choice for major companies and home owners alike. 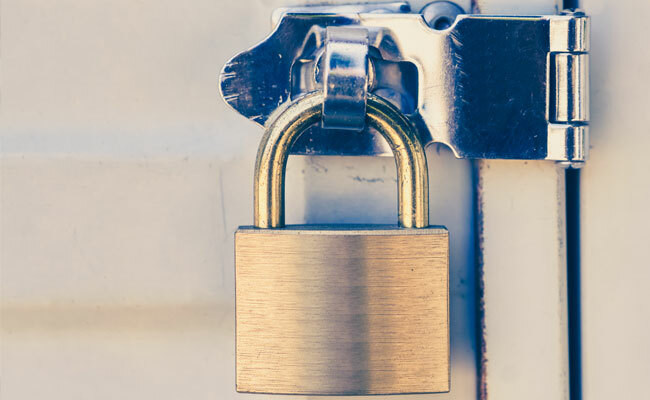 Our lock smiths are on-call 24 hours a day for all types of locksmith work including emergency locksmith services, lock-outs, lock changes & repairs, burglary repairs and emergency entry. As well as traditional locksmithing we can also install and maintain the latest digital smart locks for timber, PVCu and composite doors, such as the yale keyfree lock that can be unlocked with your smartphone and the yale keyless lock which can be unlocked with a key fob or unique code. Our mobile locksmiths carry a wide range of common household locks on their vans from leading industry brands including Yale, ERA and Union. 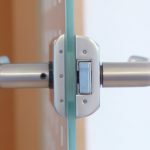 This means that your locksmith will usually be able to provide cylinder locks, mortice locks, rim cylinders and more on the spot, so they can complete the job in just one visit. 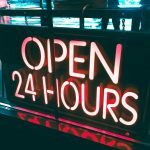 There's no 'call-out' fee, we aim to get to you within 30 minutes, and we're available 24 hours a day. Our work is guaranteed with a 12 month manufacturers warranty on all parts and 90 days guarantee on all workmanship. If you are looking for a local locksmith near you then LockRite can help! Our locksmiths are experts in lock repairs & replacements, lock maintenance, emergency entry, home security and more. Are You Locked Out? Have You Lost Your Keys? We can unlock your door and get you back into your property. If you're locked out, we can get you back in! We're experts at picking locks and gaining entry. We change, repair and fit a wide variety of locks, including : Mortice Locks & Euro Cylinders. As Official Yale Smart Security Partners, our lock smiths can supply and fit digital smart locks. Our trained locksmiths can supply and fit the latest High definition CCTV to your home or business premises. Our locksmiths can professionally install the full range of Yale smart alarms. Our locksmiths can provide boarding services to secure your home or commercial premises. We offer a full security survey service. Do you really know how secure your home or property is? We can cut extra keys for your home or office. 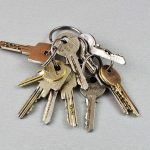 Our locksmiths carry a range of key blanks. If you're locked out, lost your keys or you're finding it hard to lock your door, our trusted and trained locksmiths are available 24 hours a day, 365 days a year to unlock your door and get you back into your property. We aim to give you the best possible service without charging you a fortune - our reputation depends on it! We provide a highly professional service at a very affordable price. LockRite is fully accredited with certifications for CHAS, Constructionline, ISO 9001, ISO 14001, OHSAS 14001 and more. LockRite are official Yale Smart Security Partners too, which means we're trusted by Yale to provide and install the latest in Yale smart home security, including smart locks, CCTV and alarms. Unable to open rear upvc door as multipoint locking mechanism has failed. Gain non destructive entry and supply and fit replacement MPL. Unable to unlock front composite door as multi point locking mechanism failed. Gain entry and supply and fit replacement unit. Mech failure, replaced gearbox and adjusted keeps. Gain access to front door. Replace multipoint locking mech, cylinder, and handles. Sourced lock to fit old garage door. Fitted same and delivered keys to Sherborne. No keys for rear patio door, Gain entry and replace. Gained entry and replaced euro cylinder like for like as requested. Adjusted bottom keep to allow smooth locking unlocking action, also cut extra key for sliding rear door. Unable to lock rear patio doors as locking points not engaging fully. Realign door in frame and service lock. Unable to lock rear conservatory upvc door as locking point wont engage fully. Realign door in frame and service multi point lock. Diagnose issue with front door. Remove and replace broken gearbox, worn out handles and cylinder. rim cylinder replaced. Adjustments to door keep on Mortice lock. Brass chain fitted. Removed faulty bullet lock, opened shutter, supplied 2 x new bullet locks. Lift door which is rubbing on floor check locking. Gained entry. Replaced defective cylinder. Replaced faulty eurocylinder to front door, modified frame keep. Supply and fit replacement cylinders to front composite, rear upvc and wooden door to garden. Inner wooden door not latching. Oval cylinder lock with latch not latching into place, adjust keep on door re fit lower down so door will latch shut. Repair loose rim cylinder and night latch. Supplied and fitted a new euro cylinder to front door. Fault with lock case. Repace UPVC gearbox adjust door. Door wouldn't open due to gearbox failure. Door opened, Gearbox removed and replaced. Replaced nightlatch and rim cylinder. Change cylinders in both front and back doors. Changed rear mortice sashlock and front door mortice rim lock. Also fitted bolt to rear door. Remove and replace both front and back door thumbturn euro cylinders, supply 3 keys ea. Faulty locks on front composite door and side gate. Locks replaced and tested. Picked cylinder to Gain entry, cut 2 x spare keys. Left in good working order. Installed new camlock on postbox. Gained entry to internal shared house door. 3 lock changes for security. Extract broken key. Adjust keep. Replaced lock on front door and installed additional Mortice lock. Customer lost keys so would like to change 3 eurocylinder locks for security reasons. Supplied and fitted a new euro cylinder to front door. Cut a spare key and fitted spring packs. Cant lock door from inside or outside - gearbox. Fitted Yale Universal Multi Point Lock to secure. Gain entry to upvc cottage door, found mechanism solid, removed broken mechanism and fitted gearbox to door. Rear sliding patio door jammed open due to faulty mechanism. Engineer gained non destructive entry and rectified issue. Lock and door tested. Replace broken door handles on back upvc door and make adjustments to allow for smoother closure of door. Lock changes required on front, side and rear upvc doors. Also doors adjusted accordingly enabling them to operate fully. All locks replaced and tested. Replace two euro cylinders - front and back door locks with British standard euro cylinders. French doors, alignment issues. Adjustments made to keeps and hinges. Replaced defective cylinder in front door and cut 3 extra keys. Repaired Mortice lock on flat entrance door. Programming of yale alarm. Fit sim card. Return visit to upgrade locks - 5 lever Mortice locks fitted to doors. Back door, supply fit euro cylinder. Adjust keep and hinges. Gain entry to side upvc door as centre latch had failed and door wouldn't open. Composite door with yale auto locking gearbox. Cam slip on yale kite marked cylinder. Replace lock in front door, Replaced euro cylinder in front door like for like as requested. Lock out front upvc door due to jammed mech. Gained entry and installed temporary gearbox pending new parts. New euro cylinder installed. Gain entry and install new key and turn cylinder. Supplied and fitted ERA BS8621:2004 Auto Deadlocking Escape Nightlatch. To fit x2 rim cylinder and nightlatchs to 2 external wooden doors. Supply and fit replacement centre gearbox to rear upvc french doors as existing has failed and doors will not lock. Supply and fit 3 star euro and sash jammers. Fitted to rear door and a shootblot. Gain entry to composite due to era vectis gearbox failure. Replaced gearbox with new part. Gearbox and euro cylinder faulty on garage rear door, replaced both. Fit approx 10 lock cylinders to doors due to lost keys. Fitted over 2 visits. Fitted 2 push button key safes. and Cut 3 keys. Window not locking, door not unlocking. Gearbox broken. Fitted new sash jammers to ensure security. Changed sash lock. Inner upvc door not locking as spring broken in MPL gearbox. Supply and fit replacement. Repair to composite door. replace euro cylinder. Replace lock and resolve split spindle issue, Replaced euro cylinder for British standard lock and also supply and fit split spindles. Supply and fit 1 x euro thumbturn cylinder to front wooden door. Service front door as hard to open. Strip handle sets off (springs failed) and lubricate the gearbox, barrel. File off the worn edges of the door inner sill so smooth and door allowed to glide easier. Door lock not fully engaging. Adjusted keep. Replace 1 x nightlatch and cylinder. Blank letter box, fit handle. Repair front door re attempted break in. Replace handle set and euro cylinder. Also rear french door euro locks replaced. Door jammed shut on latch. Latch loose on bracket causing bracket to break and trap latch. Bracket removed and replaced. Repair side door upvc. Lower connecting rod popped out as door out of alignment. Strip mech and fix then re align the door to lock cleanly and smoothly. Service and battery change to Yale alarm system. Supplied and added 1 x pir. Upvc mechanism failure, Gain entry and stripped down mech, replaced faulty gearbox for new and reinstated to door. Gain access to back door. Change gearbox to back door mech. Adjust alignment to door. Reset conexis Smart Lock to factory setting. Refitted and programmed all cards, key fobs and phone tags. Also set up key on the smartphone. Tested and all working ok. Fit replacement multi point lock. Broken key in cylinder, no spare key - replaced cylinder. Difficult to engage lock, handle very stiff. Mechanism was catching on keep. Keeps removed and adjusted. Tested from inside and out. Upvc front door - adjustments made to keeps on frame. Wooden internal door yale nightlatch replaced. Gain entry to rear upvc door as the mechanism had failed and the door wouldn't open. Supply and fit new centre gearbox and re-align the door so it licks as it should. Repair to composite door. Replace central gearbox. Lockout front upvc door. Key snapped in lock. Engineer gained access and extracted broken key. Lock and door tested with alternate key. Supply and fit replacement euro cylinders to front and rear upvc doors. Lock change, back and front door. Levers changed on front door. New cylinder fitted to rear door. Re-align composite entrance door as it was difficult to lock/unlock. Replace defective (smashed) gearbox on front door. Replace damaged handles. Alinged door as it was not locking. Door is now locking. Remove broken key from lock (Key Extraction). Refit lock and cut 2 keys to pattern. Adjust metal cabinet so it will lock (master fitted lock). Gain entry. Replace patio door mechanism. Replace euro cylinder. Problems locking deadlock on rear wooden door as faceplate jamming bolt. Removed from door and realigned replacing missing screws. Following attempted break in door handle on front timber door has become loose and difficult to operate. Upon inspection gearbox has been forced, which was consequently replaced and tested. Property secure. Installed Yale smart alarm and extra devices. Remove broken key from bi-fold door. Open basement door (lost key) fit new sash lock 5 lever. Cannot lock patio door. When lifting handle it will not lift. Adjustments made to door keep, taken off and dropped by approx 6 mm to align with door. Tested ok and now locks with ease. Replaced broken digital lock. Adjusted and expanded new keep to allow for wooden door expansion/contraction during temperature changes. Realign rear patio doors, fit new handles, gearbox and British Standard euro cylinder. Replace outside security light, install keysafe and set code. Remove source and replace new locking mechanisms on front lounge and rear bedroom window. Fit new espag handles to all windows keyed alike. Fit sash jammers to doors and windows where necessary. Secure broken glass in rear door. Cleared and made safe - boarded by bolts and struts. Replace euro cylinder and ajustments to door. Replace front door lock. Vectis era 45mm change gearbox. Replace upper flat door 3 lever sashlock no keys, replace lower room nightlatch and rim cylinder as customer has no keys and the nightlatch damaged. Gain entry to internal door Mortice lock and replace 2nd room nightlatch and rim cylinder as keys missing and nightlatch broken. High security yale nightlatches fitted to 2 x External wooden doors. Also 4 additional mortice deadlocks fitted to enhance security. Replace front and rear door lock. Front door euro back door mortice. Gain entry and replace lock cylinder. As above as requested replaced like for like. Adjust front door euro Mortice lock keep position. Move keep lower and out to ease bolt throw. Axim flush bolt at bottom of door replaced. Fitted x2 new euro cylinders to 1 composite door and 1 upvc door. Gain access to side garage upvc door and replace euro cylinder. Installed smart lock on front door. Remove pad lock from summer house. Fit new handles to front door to adjust opening system. Fit new cylinder to front door. Fit new multipoint locking mech and cylinder to back french doors. Gained entry and changed lock to utility cupboard door. 1 key in appt 13 post box and spare keys to office. Faulty lock on front composite door. Lock replaced and tested. Yale nightlatch spring has broken. New spring fitted to Legge nightlatch. Nightlatch on wooden door not working. Keep adjusted as door dropped slightly. Lost keys. Gain entry to property and fit new lock fitted to summer house. One extra key cut. Rear upvc door not locking. Dismantled locking mechanism and maintained lock, reassembled and tested. Door now fully functional. Replace locks as keys stolen, replaced locks where requested with british standard locks as requested. Front and porch door. Supply and fit new euro cylinder to front composite door. I also adjusted the top and bottom keeps so the door locks easier. Wooden door lock not working properly. Lock was removed and levers cleaned, lock would still not lock suitably after maintenance. New lock fitted for customer. Wooden door will not lock, on examination the bolt was not engaging into the keep. Keep adjusted - Bolt now engages keep. Replace locks as requested, replaced locks in front sliding door, front door and rear door, all like for like. Gained entry and fitted a new euro cylinder to front door. Customer unable to remove key from lock cylinder when locking front upvc door as the cam was twisted. Supplied and fitted a replacement euro cylinder. Gain entry. Supply and Fit new lock cylinder. Supply 6 extra keys with lock. Lost keys to rear upvc door. Gained access to door. Lock Replaced. Door tested. Property secure. Gain entry to cupboard for fuse box. Supply and Fit lock to cupboard. Remove locking mechanism from side bin store door. Supply and Fit handle to side bin store door. Lock change required on front wooden flat door. Lock replaced and tested. Property secure. Gain entry to upvc door due to lost keys and remove cylinder, replace cylinder with new and supply five keys. Replaced locks on French doors. Gained entry and fitted two new locks to front door. Replaced lock cylinder on side door. French doors will not lock. Replaced broken lock mechanism. Replace faulty gearbox in rear upvc french door, spindle snapped in gearbox not operating hooks. Lock change. Wooden door - reassemble front end mechanism on sliding wooden patio doors, and install new euro cylinder (6 Pin, anti pick, anti snap). Lock changes. Replace external locks and add new lock to office. Lock change required as the lock is difficult to operate. Lock replaced and tested. Property secure. Lock change. Rear door x 2 euro cylinders. Side door x 1 rim cylinder and oval key turn. Front door x 2 oval euro cylinders. All supplied with 3 keys min. Supply and fit sashlock to inner wooden door. Supply and fit new euro cylinder to main entrance door. Re-fitted lockcase as existing had been removed from door using 1 pair of case brackets. Made adjustments to give hookbolt more room to engage properly. Front communal metal door: lock not working.- nightlatch faulty.- replaced nightlatch; tightened rim cylinder. Sliding patio door lock on inside not functioning. Mechanism seized on inside locking bar and and cylinder sticky - removed handle, cylinder and front plate. Freed mechanism and reset bar and plate. Installed new lock cylinder and new fixing screws. Key fails to insert on outside of lock, after lock picking attempt when locked out. One pin seized on outside key plug - freed seized pin, lubricated and tested. Replace 2 euro cylinders, back and front door, gained entry, both cylinders changed. New Mortice lock fitted to front door. Also alternate lock altered to provide a better fit. All locks tested. Property secure. Asses why the door is difficult to lock. We have adjusted the door at the hinges and keeps. Fitted 1 new Euro thumb turn with 3 extra keys. Faulty lock on front upvc door, replaced and tested. Property secure. Replace faulty mech with new, retro fit repair mech with top and bottom shootbolts. Customer found it difficult to open and lock uPVC patio sliding door. Removed patio door handle cleaned spindle and internal handle. Freed up resistance from mech. Gain entry to failed uPVC door and temp repair made to make door secure. Second visit replace faulty gearbox as requested. Supply and fit 1 x pair of euro cylinders. Front door, supply and fit euro cylinder. Adjust door mech which is showing signs of wear. Supplied and fitted new euro cylinder to side entrance door as the key had snapped in the lock. I adjusted the door as it wasn't able to be locked as it was out of alignment. Gain access supply and fit. Rear upvc door not functioning correctly. Internals failed on gearbox replaced like for like as requested. Key snapped in upvc door, door adjusted and locking correctly, serviced mech and cylinder, 3 new keys cut. Lost keys for rear doors, replace 2x euros. Unlocked and replaced 2x euro cylinders like for like as requested. Also replaced garage locking handle. Changed front and back door locks. Cut six cylinder keys, one mortice key, one window key and replaced front door lock with British Standard one star euro lock cylinder. Supplied a new Union oval key and turn cylinder to master key suite - supplied with 3 keys. Rear door not locking/unlocking correctly. Failed gearbox from previous works, expanded casing and missing springs. Replaced like for like as requested. Unable to lock front upvc door as key not turning fully. Cam twisted. Supply and fit replacement cylinder. Not able to lock upvc back door. Adjustments to hinges and keep to allow full locking. Cannot lock front door. Key will not turn lock. New cylinder fitted. Adjustments to allow door to lock easier. Upvc back door unable to unlock. Adjustments to hinges to allow for expansion. New lock fitted to front door and garage. Gain entry, fit overnight lock. Return visit to fit Multipoint Lock. Gain entry back upvc door mech jammed. Adjust keeps and service. Wooden front door with nl and mortice, very stiff. Yale nightlatch broken inside and beyond repair. Removed and replaced. Gained entry to property, removed rear door euro cylinder, front door rim cylinder, night latch and deadbolt Mortice lock. Supply fit replacement euro thumbturn on UPVC front door. Extra key copies cut and tested. Remove and replace escutcheon to front door to allow key entry. Move frame latch to allow correct locking. Wood split in fire door so not latching, fitted metal sash keep to work properly. Fire door swollen, sanded to allow easy egress. Fitted 2 new padbolts to allow secure locking, removed padlock. Install 3 Mortice locks keyed alike for living quarters. Install 7 Mortice locks keyed alike for pub. Install 4 window locks to wash rooms. Cut 7 extra keys. Customer unable to lock main metal entrance door as cylinder would not turn. Top locking points jammed and blocking lock operation. Removed connecter bar to allow door to lock in centre and bottom. Replace mech as original failed, temp overnight fitted while parts ordered. Key stuck in French door. Frequently asked questions about our locksmiths and the locksmith services we provide. Q. 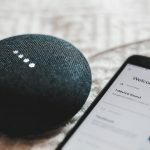 Why should I choose LockRite? LockRite is the largest uniformed, DBS Checked (Formerly CRB) Locksmith network in the UK. We have locksmiths that work and live in or close to your area and can usually be with you within 30 minutes. We are on call 24 hours a day, 7 days a week, we never charge a call out fee and our work comes complete with a guarantee. Q. Are your locksmiths local? Yes! All our locksmiths actually live within the locality they serve or close enough for a short commute. Not only does this mean they can be with you quickly (usually within 30 minutes) but it also means you are helping to support a local business rather than a company which has no interest in your community. Q. Are your locksmiths vetted? All of our locksmiths are DBS checked and professionally trained for your peace of mind and security. A DBS check (previously known as a CRB check) is a list of records that show an individual's Cautions, Convictions, Reprimands and Warnings and can also include information held by the police. Q. Do you offer a guarantee? Yes! Customer satisfaction is the number one priority at LockRite. Our work is guaranteed with a 12 month manufacturers warranty on all parts and 90 days guarantee on all workmanship and our customer service team is available 24/7 to discuss any queries on 0800 0612 677. We're also CHAS accredited and ISO9001 registered which demonstrates we take our health & safety responsibilities seriously. Q. What should I do while waiting for the locksmith to arrive? 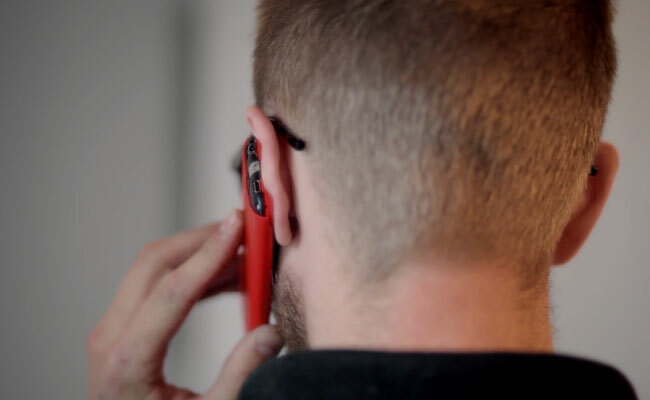 Please make sure we have a valid contact number for you (mobile/neighbours landline, etc) and that you are able to answer the phone in case the locksmith has problems locating you. Please don't tamper with the lock yourself as you could cause additional damage which may prove expensive to repair. Q. How long will it take for the locksmith to gain entry? If the lock is a standard rim cylinder type (Yale/Euro Cylinder) then in most instances entry can be gained within a matter of minutes. More complex locks such as five lever mortice deadlocks will take longer due to their inherently secure nature. Q. Do you provide locksmith services to commercial clients? Yes we do. We provide the largest uniformed, DBS Checked (Formerly CRB) Locksmith network in the UK. We regularly carry out work for commercial clients such as banks and insurance companies. Please visit our National Accounts Website for more information. Q. How do your locksmiths open doors? 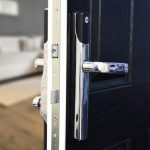 Our locksmiths open doors using specialised techniques, knowledge and experience. They're trained to open doors using the latest non-destructive techniques and tools to get you back in without unnecessary damage to your locks or doors where possible. 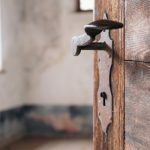 See our article How do locksmiths open doors? for a more detailed explanation of the process. Q. I've heard something recently about 'Bump Keys'. What are they? Bump Keys are special keys which can open practically any rim cylinder lock. They are special locksmith tools but recently there have been reports of homes being broken into by thieves using bump keys which are freely available to buy online. Perhaps the most unsettling thing about this is it allows a thief to gain entry as easily as if they had your own house key - silently and quickly. It is possible to have anti-bump locks fitted which will prevent your locks from being compromised this way. Give us a call if you would like to discuss this option. Q. What is 'lock snapping'? Lock snapping is a term given to a technique used by some burglars to break into Euro cylinder locks (the type commonly found on uPVC doors) by physically snapping the cylinder in half. Once the lock is snapped the door can be opened within a matter of seconds. Anti-snap locks are available which can prevent this method of forced entry. Give us a call if you would like to discuss this option. Q. How can I pay for work? We accept all major debit and credit cards and will also take cash on site. 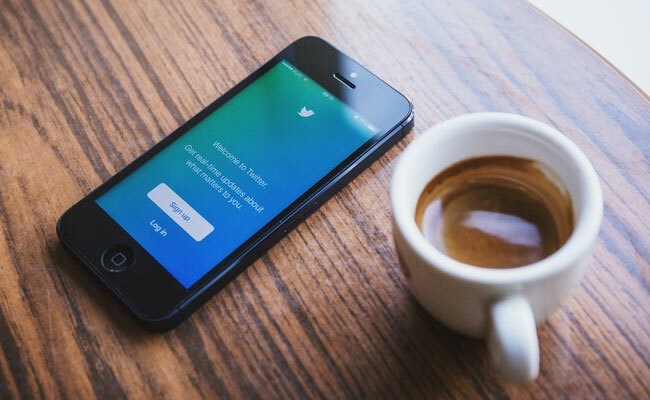 Payment can be made via a card terminal carried by our locksmiths or payments can be made by calling our head office and a receipt will be given. Q. Are LockRite members of the Master Locksmiths Association (MLA)? The main focus of the Master Locksmiths Association is to offer a certification program for locksmiths in the UK. All LockRite locksmiths are certificated by us, after completing one on one training sessions with our experienced, professional locksmith trainer over several weeks. They also receive expert training from Yale on the latest smart security products, such as Yale smart locks, Yale CCTV and Yale Alarm systems. Better still, their locksmith training is on going throughout their career. Therefore, LockRite are not members of the Master Locksmiths Association. What Should You Do If You Find Yourself Locked Out Of Your Home? We can get you back in! We're experts at picking locks and gaining entry. 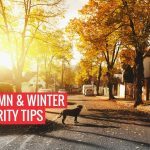 Take a walk around your property and see if there is a way you can get back in, you may have left a window open or hidden a spare key somewhere. Call any friends or relatives that you have given a spare key to and see if they are able to let you back in. Don't try and force your way back in, this could cause damage to your door or lock and prove expensive to repair. If you are unable to get back in your property then you'll need to call a locksmith, we're on call throughout the UK, 24 hours a day, 7 days a week and could be with you in just 30 minutes*.